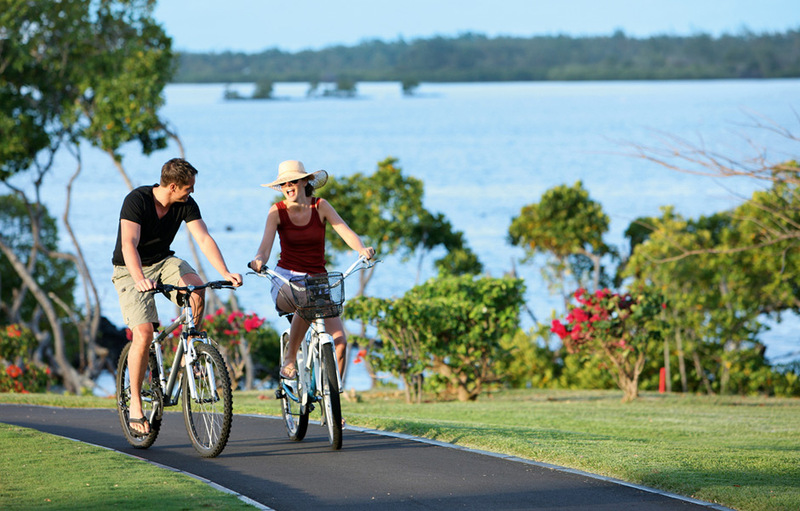 The Four Seasons Resort Mauritius at Anahita is a feast of endless expanses of sparkling, crystal blue waters and luscious tropical green mountainsides. This idyllic destination is home to Ernie Els’ magnificent Anahita Golf Course and is ideal for luxury family vacations. There are four restaurants and the casual O-Bar providing a veritable cornucopia of delectable treats, most of the restaurants boast views from the edge of the vibrant Indian Ocean. 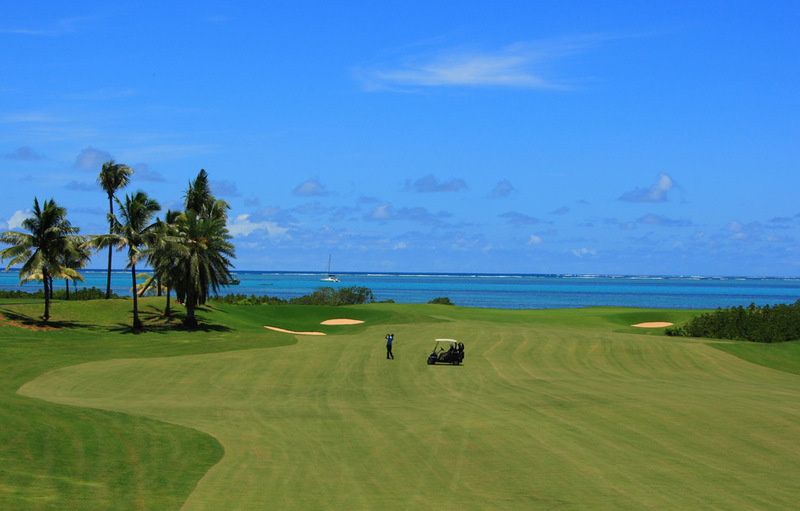 At Le Club, diners overlook the stunning 18th hole of Anahita Golf Course. Acquapazza looks out across the lagoon on the Resort’s private island, Ile aux Chats. Serving contemporary Italian cuisine with an emphasis on seafood in a warm, elegant yet informal atmosphere, the restaurant offers an extensive list of superb Italian wines and has a private dining room ideal for small gatherings. Beau Champ overlooks the bridge over the lagoon. This contemporary steakhouse features an open-concept kitchen and offers an elegant and unique dining experience. Its open wine cellar is the ideal place for an exclusive wine tasting, and features more than 200 labels with a focus on French wines. Bambou situated on Ile auc Chats facing a glittering white-sand beach this restaurant has a relaxed atmosphere where diners enjoy casual international favourites for lunch. Bambou has its own sushi bar and teppanyaki table. For dinner, Bambou features an à la carte menu that reflects the many flavours of Asian Cuisine. Be sure to try their Tropical Buffet and Indian Night. Le Club overlooking the 18th hole on Ernie Els inspiring Anahita Golf Course, the restaurant offers à la carte lunches to golfers and other guests. The roof of the Clubhouse has been designed to complement the backdrop of Bambou Mountain when seen from the 18th hole, with the visible support structure adding a dramatic contemporary feel to the traditional thatched roof. Enjoy a pre-dinner cocktail or after dinner cigar and cognac at O-bar located alongisde to Beau Champ and overlooking the lagoon and the Resort’s private island, Ile aux Chats. The Spa’s collection of therapies reflects the many cultures, who call Mauritius home. Drawing inspiration from Indian, African, Chinese and European traditions the expert therapists use natural indigenous ingredients in their treatments. The Aqua Vichy room offers the opportunity to truly relax, with a purifying sauna, steam room and handcrafted mangrove Vichy shower. Six double treatment suites equipped with steam and outdoor showers are a perfect sanctuary for a couple’s retreat. Massages are also available in the privacy of your villa. Poolside massages, manicures and pedicures are available daily from 12:00 noon to 4:00 pm, weather permitting. Group yoga classes are held on Mondays, Wednesdays and Fridays at 8:30 am. Private sessions are available upon request. The Resort boasts a state-of-the-art fitness centre with a semi-Olympic lap pool, Technogym equipment, Powerplate, spinning, rowing machines and a boxing area. Complimentary classes provide expert Four Seasons guidance in jogging, water aerobics, circuit training, stretching, spinning and other activities. 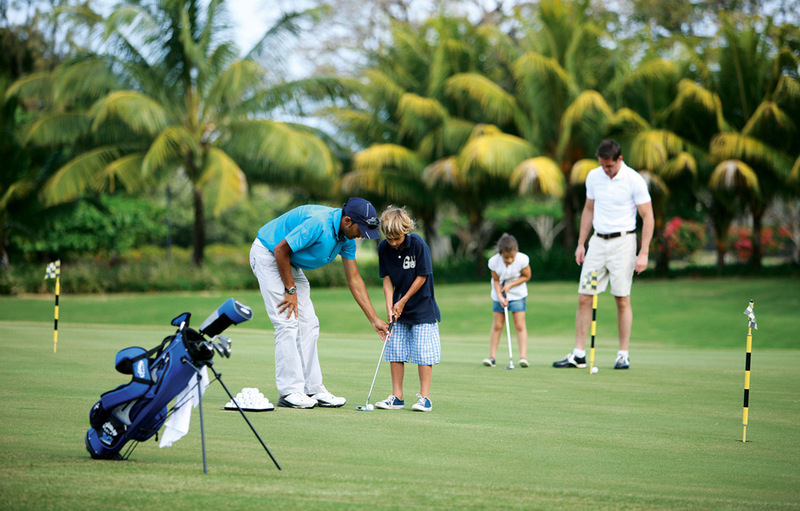 Children are well catered for at Anahita. The OurSpace Childcare Club is managed by qualified nannies with internationally recognised childcare qualifications and they adhere at all times to strict safety guidelines. Children will enjoy action-packed days filled with kayaking, tennis, trips to Ile Aux Cerf, papier-mache modelling, snorkelling, glass-bottom boat trips and so much more. The club is open from 08h30 to 20h00 and caters for children from eight months to thirteen years. It is free of charge for children between four and thirteen years old but this excludes meals. The 123 spacious villas and residence villas are designed to inspire connection with the natural surroundings. Life flows beautifully here as large windows and doors encourage indoor-outdoor living and rooms boast superlative views of quiet lagoons against the Bambou Mountains. 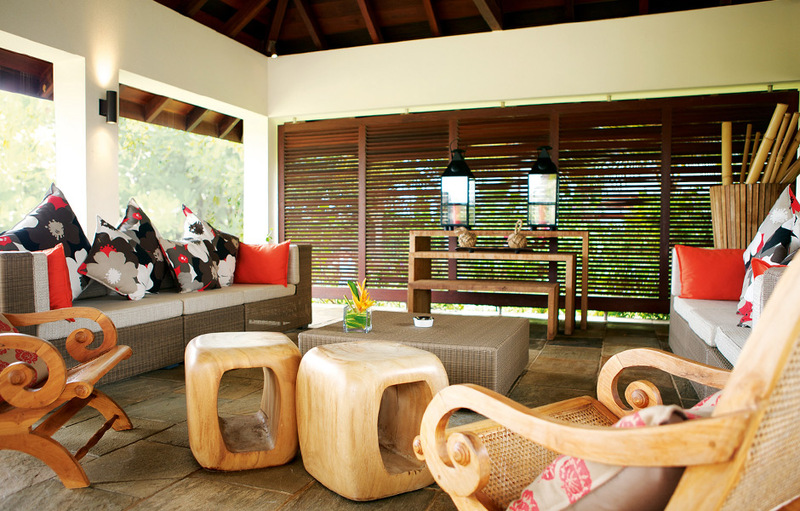 Natural woods, volcanic stone and other indigenous materials bring the flavour of Mauritius indoors. Thatched-roof architecture is filled with surprising design touches, modern artwork and Four Seasons space and comforts. 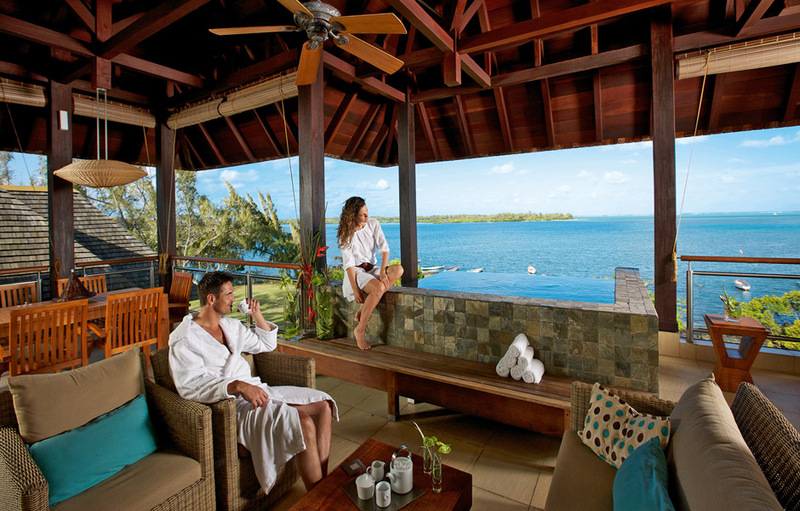 While the Garden Pool Villas, Mangrove Pool Villas and Residence Villas are situated on the mainland, the Lagoon Pool Villas and the Presidential Suite are located on the Four Seasons Resort at Anahita’s private 11-acre island, Ile aux Chats.